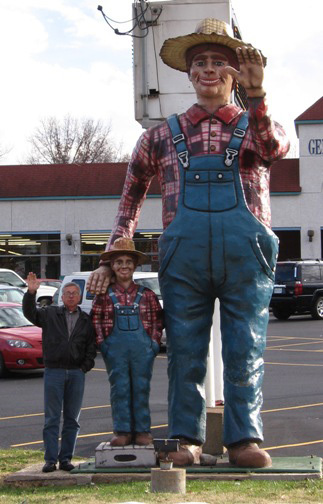 Fred the Giant Farmer – The Home of My "Big Things"
Meet Fred the Giant Farmer and his sidekick Clyde. They stand advertising the Sappington Farmers Market on Watson Road in St. Louis. We were visiting my sister and brother-in-law for Thanksgiving and decided to take some time for a Big Things hunt.